Becoming a makeup artist won’t happen overnight; It takes hard work, dedication and a passion for the industry. But you can do it! You have to stand out as an individual, your unique composition of skills, personality and style are what make people want to book appointments with you in the first place. There’s a reason we use the word ‘consider’. 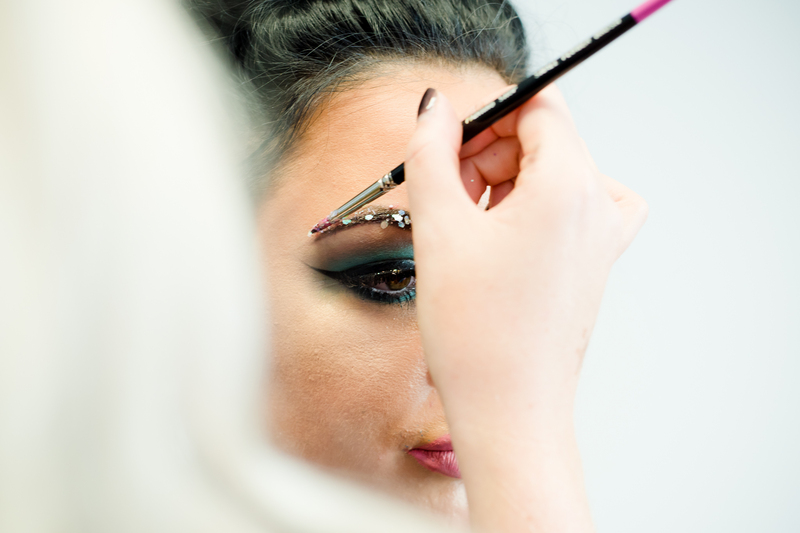 Training to become an MUA is a journey, so you while you can consider all of these things, you’ll adapt, change and grow throughout your training and your career. You need to be creative, unique, and stand out from the crowd. Focus on the makeup style that suits your skill set, if you’re best at bold, bright fashion makeup, focus on that style. If you’re more interested in glam wedding looks, focus on that style. It’s also important to consider your client’s style. You have to make recommendations with care, so people don’t take any offence. Also, different people might like working with people that have similar styles to them, so don’t get offended if someone prefers another MUA. Positivity — you need to be able to make people feel good about themselves. If you enter the appointment with a positive attitude, it’ll rub off on your client. Enthusiasm — you need to sell your look to the person that’s wearing it, often, we reject what isn’t what we’re used to, so this is particularly important when creating unique looks. Compassion — everyone has self-doubts about their looks, whether it’s a feature they don’t like or if they’re scared to go for something a little out there. It’s your job to understand the person without judging them and give them the confidence to shine. Selflessness — when you’ve got someone in your chair, it’s about them, not you! You have to make them feel it (not by telling them, think subtlety), if you’re thinking about lunch or what the kids are up to at school, it’ll show. Try sitting down with a pen and pad, and write down ten things you like about yourself (not eyebrows or outfits! ), and think about how you could apply that to your training. If you’re feeling brave, you could write down a few things you’d like to improve on and think about how your training will help you. 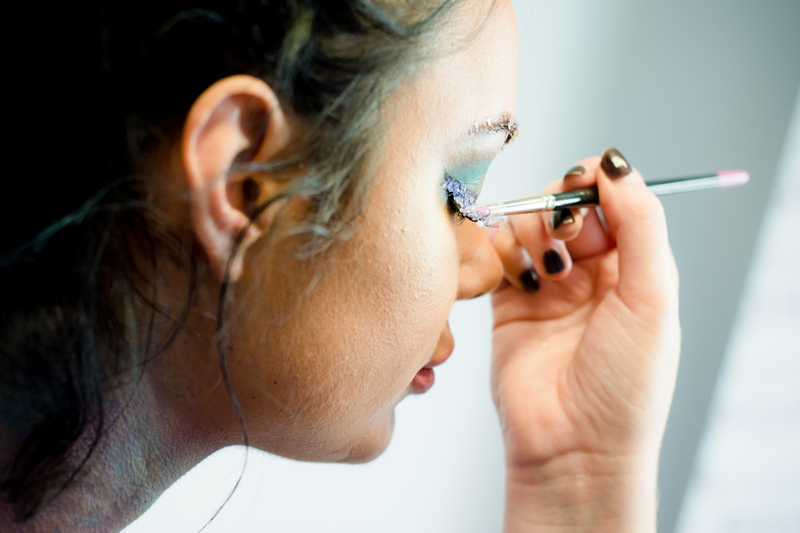 Before you become a makeup artist, you need to research the best path into the industry. Consider whether you want to self-teach or get an NVQ or HND qualification. Each path will have its advantages and disadvantages depending on what you want to achieve, the challenges you face and how quickly you want to do it. You might have to do some of this unpaid but if it’s your passion then it may well be worth it. Think about people sweeping and making brews in the hair salon, they aren’t passionate about using a dustpan, they’re there to get to know the industry and learn the trade from the inside. You’re never going to become an MUA if you don’t practise. The best place to start? Yourself! Try different techniques and judge them, it’s a great way to build your confidence. Think about starting an Instagram page, youtube channel or blog to track your progress. This will help you build a portfolio of work and give your clients some ideas. Once you feel comfortable, try asking friends and family if they’re interested in being pampered. That’s a hard request to turn down! Remember, take things at your own pace, there’s no rush. While it’s possible to become an MUA without a qualification, you’re more likely to get work in a salon if you have one. Plus, there are other benefits you can read about here. Loan options — there are different types of educational loans you can apply for, you don’t want to pay high-interest rates! If you study for an NVQ, it’s a practical qualification so you’ll be equipped for the working world when you leave. If you study at HND level you’ll probably want to take the university route into fashion or theatrical studies. Think about this in terms of variety as well. You’ll need extensive shades of foundation as well as different weights for different skin types. Your clients could be anyone, so you need to make sure you have the kit to do their makeup if they are old, young, dark or fair skinned. If you train with Poshnailz you get a full kit included to start you off. If you are doing it on your own you’ll need plenty of brushes as well as the right products to clean them between every client. And remember, you need a carry case to store all your equipment! It doesn’t matter whether you want to find a job in a salon, open a salon or freelance; you need to know how to market yourself. For example, if you’re looking for employment, you need to show potential employers why they should employ you. You could go into a salon and introduce yourself, send a CV over or present your portfolio to them. Show them your style, personality and skills. Likewise, if you’re going it alone, you need to learn how to market yourself. After a certain amount of time you can get clients through word-of-mouth and recommendations, but to start with you have to generate business yourself. You could get professional business cards, or service leaflets printed, or set up social media pages and create a LinkedIn profile. You can also use freelance platforms like Upwork or local product and service selling sites like Gumtree or Schpock. Anywhere you think your clients are; you should be! If you’re a smart businessperson, you’ll develop the ability to plan for the future, think about where you want to be in 2-5 years time. Your own product range? A salon with a website? Whether you’re practising on friends and family or working in a salon at the weekends, soak up any knowledge you can. The more experience you have, the better prepared you’ll be to work in a salon or become a freelancer. Plus, if you do help out somewhere at the weekends, they might even offer you a job eventually! You don’t have to go out and seek a mentor, but it may help you if you lack confidence or you like learning from someone who’s already done it. You have to be careful though, you don’t want to end up dependent on the person’s guidance, and you’re forging your path in the industry, so don’t take everyone’s word for it (there’s such a thing as bad advice!). Your portfolio is proof you know what you’re doing, and you’ll need this whether you work in a salon or you’re a freelancer. It’s your chance to show off! It’ll contain all your favourite pieces of work and allows you to take control of what people see. Online — you can use social media sites like Instagram and Pinterest to show your work, which is free. You can also build a website with tools like Wix or GoDaddy, or have a professional design it for you. Print — a print portfolio is a bit like a photo album. You can add quality photos that will wow your clients or employer, it makes you look professional, and you can take it with you to meetings. You should exercise both options; you don’t have to have on or the other. It depends on who you’re speaking. Face-to-face, a portfolio is a better tool; if you’re networking on Facebook, it’s better to show someone your website. Clients may often come to you with a photo of a certain celebrity look and ask you to recreate it. Pay attention to the big award ceremonies, The Golden Globes and The Met Gala, they all set huge trends in the makeup industry. Recreating looks from these events or using them as inspiration will be a great addition to your portfolio. These guys receive all the newest makeup launches for free and will often review them on their YouTube channels. Keeping up-to-date with these launches will mean you know what items to invest in and what to avoid. Clients are coming to you for your expert knowledge so they will be impressed if you have the latest beauty releases! Do be wary of trusting everything beauty gurus say; some people get paid to do positive reviews so try to separate the real opinions from the fake ones. It’s always wise to follow the big brands or those that you love using on social media. That way you know when they’re bringing out new products and can be first in line to snap them up and share them with your clients. This way of keeping up with trends is similar to award ceremonies. You may well get clients bringing in Kim Kardashian’s latest selfie and asking to recreate her look! Keep up-to-date with trends in makeup by following the big names and take inspiration from their looks. If you tag them in your recreations, they may re-post you and imagine the engagement you’ll get from that!